I have to admit that whilst this is a bit of a “does what it says on the tin” type of heading, it is one that I am delighted to be writing about. Being a toastmaster is not something I ever thought about at school, or even as recently as ten years ago. In fact, it is something that I fell into almost by accident, and even today I am blown away by the success and pleasure I get from it. I worked for many years in customer service in the retail motor industry in the UK, looking after customers’ servicing needs for their cars. I was very proud to work for Saab and also latterly for Jaguar and Aston Martin. During my 25 years working with cars I won many awards. These were mainly target related and often included reaching certain standards as well as working in teams. However, never have I received an award of this magnitude where it has in particular been chosen not only from amongst, but also by, my peers. That is why it means so much. 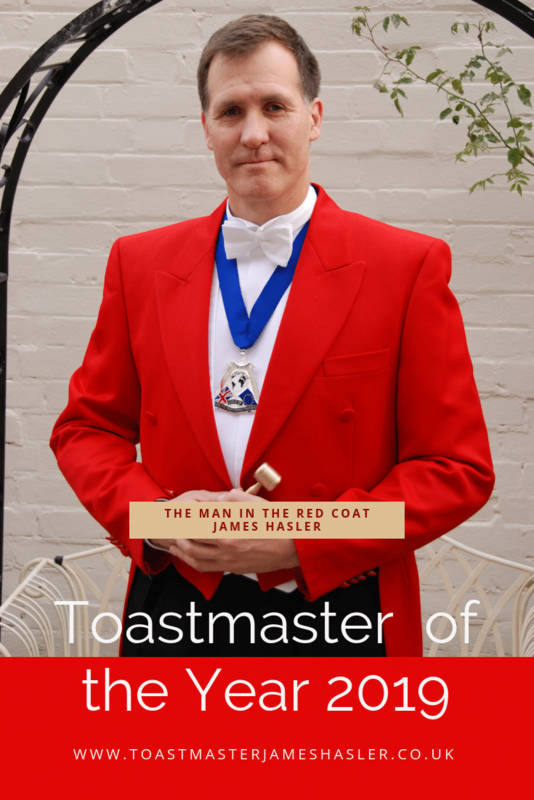 It clearly states on my website that I am very much more than just “The Man in the Red Coat”, but what very few people realise is that I couldn’t be as professional in those other roles without the training and processes used as toastmaster. I have the Guild of International Professional Toastmasters to thank for that. A toastmaster, if he or she is good, can morph between roles and run a conference, awards ceremony, charity function, trade show or any other kind of event that requires people facilitation. A toastmaster can be a master of ceremonies, but a master of ceremonies can only pretend to be a toastmaster. 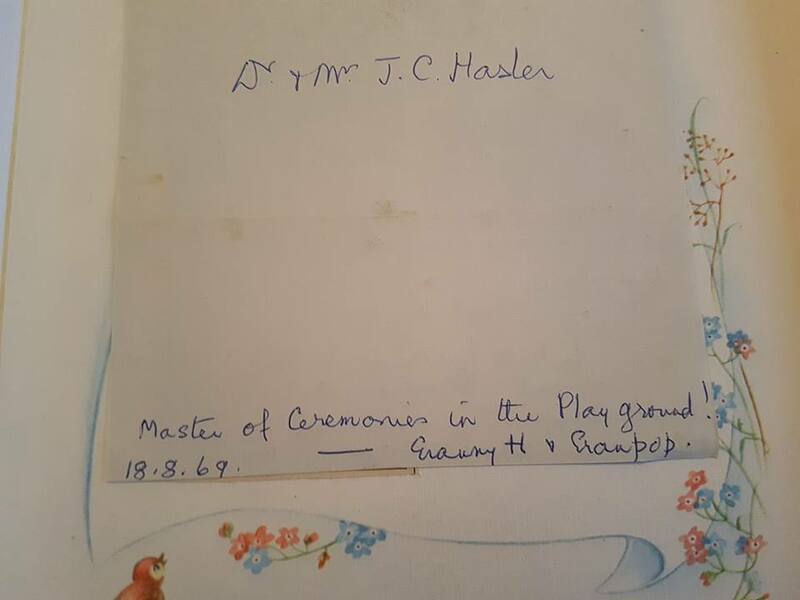 So to quote my grandmother who wrote on a piece of paper back in 1969, “Master of Ceremonies in the playground”! She was not wrong in her early observation of me and I know that she would have been as proud as I am to receive this award. I get to work in some of the most wonderful places, not just in the UK, but throughout the World. I get to meet famous people and I eat well. But best of all I get to witness the success of the events that I run and see the difference it makes to peoples experiences. I am honoured to receive the award and feel privileged to work in the environment that I do. Long may it continue. 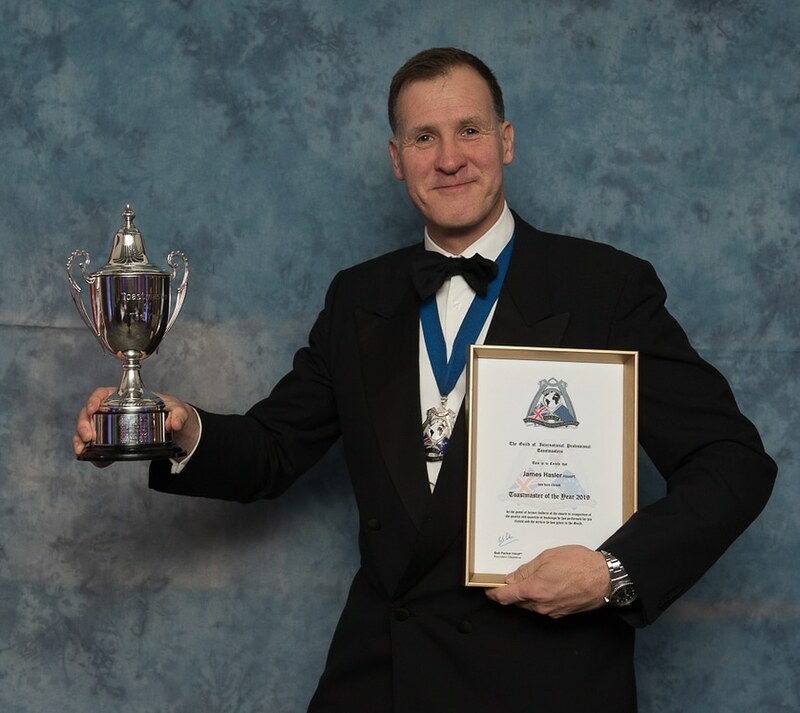 Toastmaster of the Year 2019 is………. 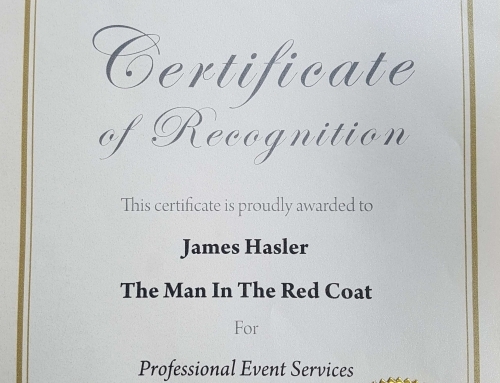 James Hasler, The Man in the Red Coat.